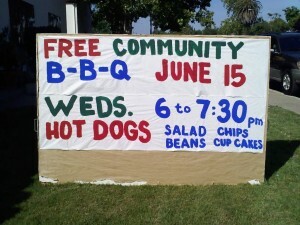 A free community will be held at First Baptist Church North Sacramento next Wednesday, June 15 from 6 to 7:30pm. 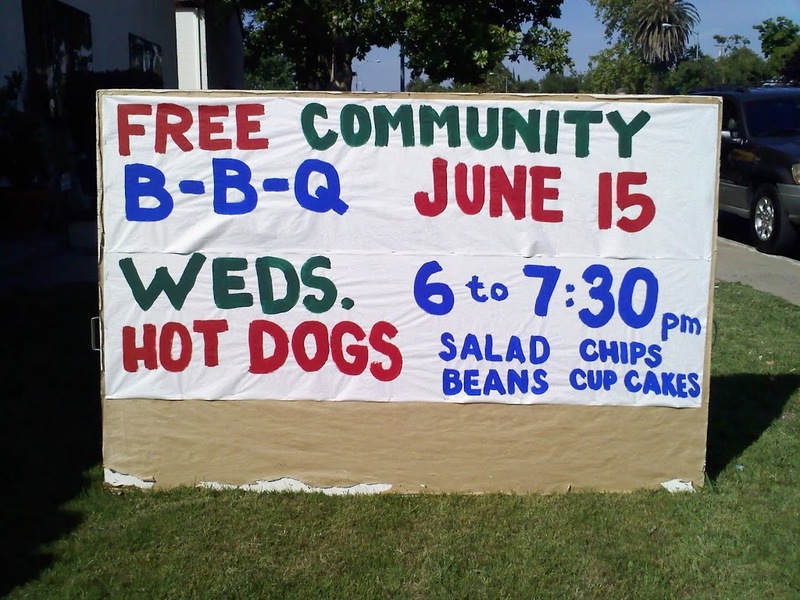 The event will feature the traditional hot dogs, salad, chips, beans, and cup cakes. June 11, 2011 in Event, Fun.